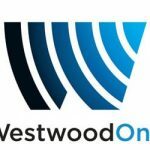 The radio and audio media company Westwood One is launching a new podcast network, targeting female listeners. 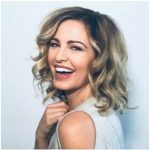 The Empow(h)er Podcast Network will launch with nine original series, hoping to tap into the medium’s rapidly-growing female listenership. The company announced the new podcast network at the Interactive Advertising Bureau’s annual podcast upfront in New York Thursday. Among the programming on the network: “Run Like a Girl,” which profiles women running for office ahead of the midterm elections. “On Her Turf,” which will profile female athletes, is being produced by NBC Sports Group. Two shows hosted by TV personality Ross Mathews, and two shows hosted by radio personality Jayde Donovan. An interview show hosted by radio personality Elaina Smith, and “BLK + in Grad School” will be hosted by Allanté Whitmore, it follows her as she pursues her PhD. TV personality Suze Orman will also host a program on women and money for the network. The IAB estimates podcast ad revenue topped $300 million in 2017 and will reach $650 million by 2020. Podcasts are one of the fastest-growing segments in digital media, with listenership — and particularly female listenership — seeing significant gains each quarter. Time spent by women listening to podcasts is up six-times faster than time spent listening by men, according to a recent report by Westwood One. “Women are listening to more podcasts than ever, and brands recognize this. Many have already come on board to support women and this new network,” says Suzanne Grimes, executive vice president, marketing, Cumulus Media and president, Westwood One. The announcement from Westwood One follows the launch of another podcast network for women.